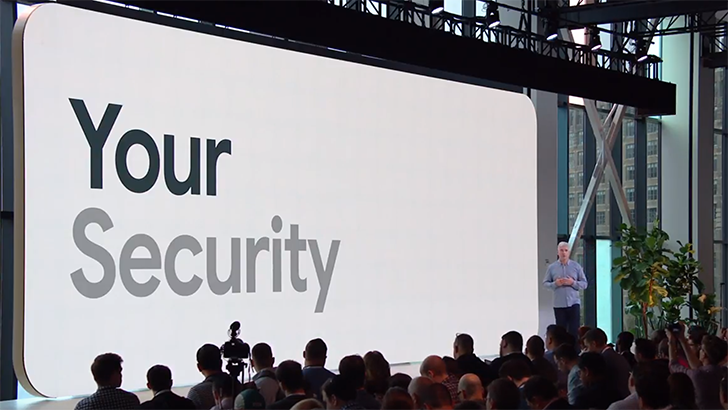 At Google I/O back in May, the company pledged to work with manufacturers of Android phones to ensure more regular security patches. 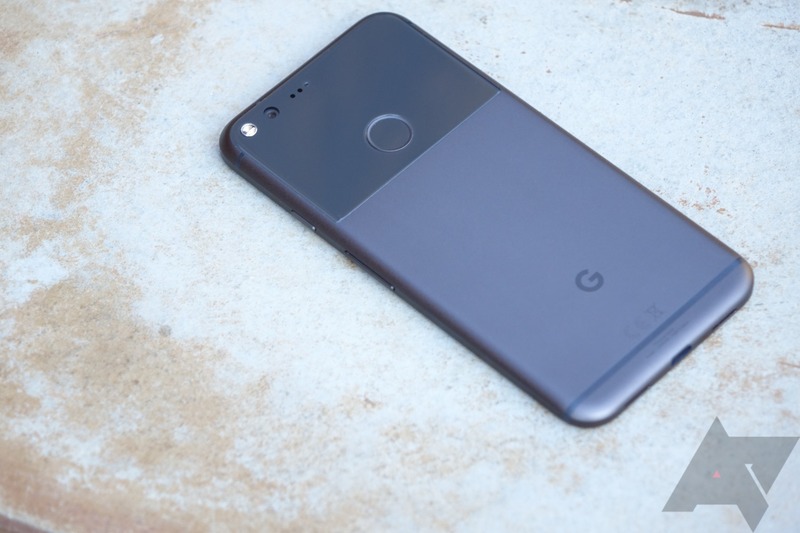 It's now come to light that Google is mandating at least two years of security updates on Android phones, and enforcing this by writing it directly into OEM contracts. 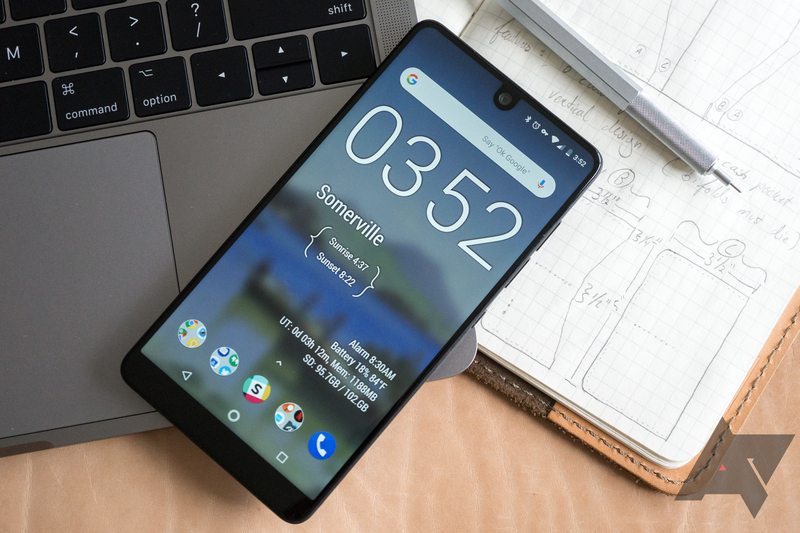 Essential may have given up on its next smartphone, but it hasn't given up on the one it has. Updates have been delivered with Pixel-level timeliness. Case in point: The Essential's updated Android P beta is rolling out today, a mere hour or so after Google. Monthly security updates for July are also rolling out. And, you guessed it, Google only just pushed those patches out, too. In the last few years, OnePlus has gotten serious about keeping its devices updated. 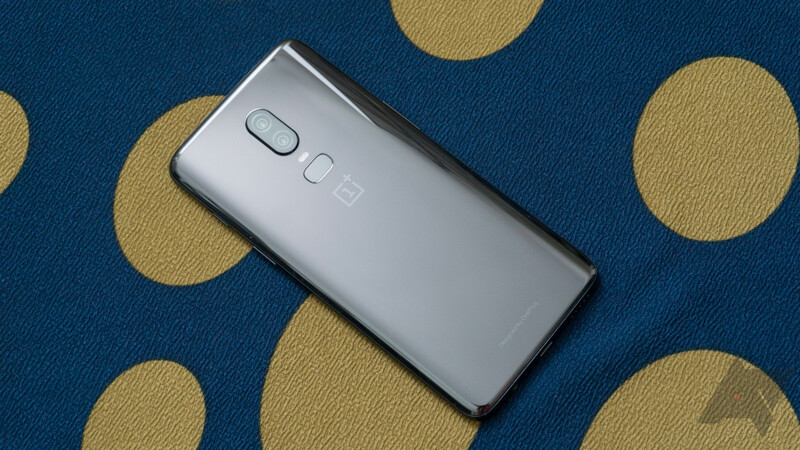 While it can feel like stable OxygenOS releases take a while sometimes, the Open Beta program represents what OEMs should do: give those who are willing early access to new features, Android versions, and so on. Further attempting to bolster its positive reputation in this area, OnePlus released the Software Maintenance Schedule, which promises two years of software and three years of security releases for each device and it's already in effect. BlackBerry launched into the Android world in 2015 with the Priv, a phone to satisfy those who need to be super-secure. At that time, the company promised that it would update the phone for two years, though it was pretty confident in its ability to lock down insecure parts of the operating system. 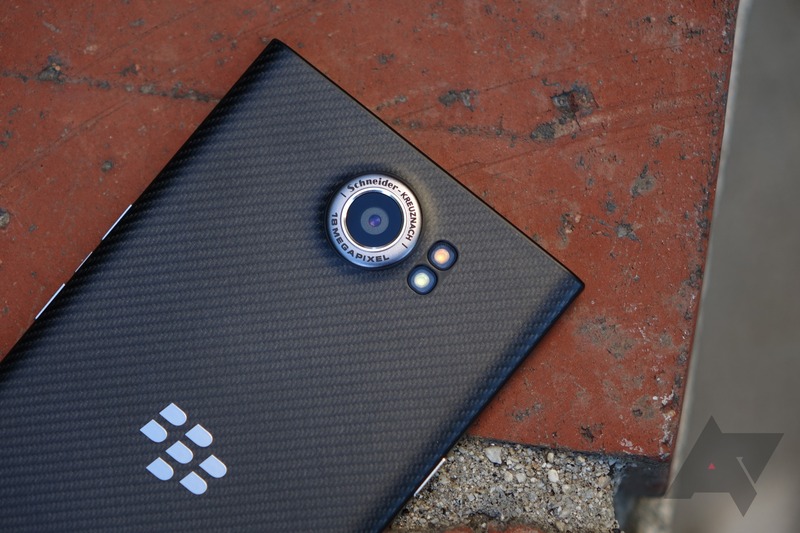 That 24-month period has come and gone, and sure enough, BlackBerry is officially cutting off support for the phone. 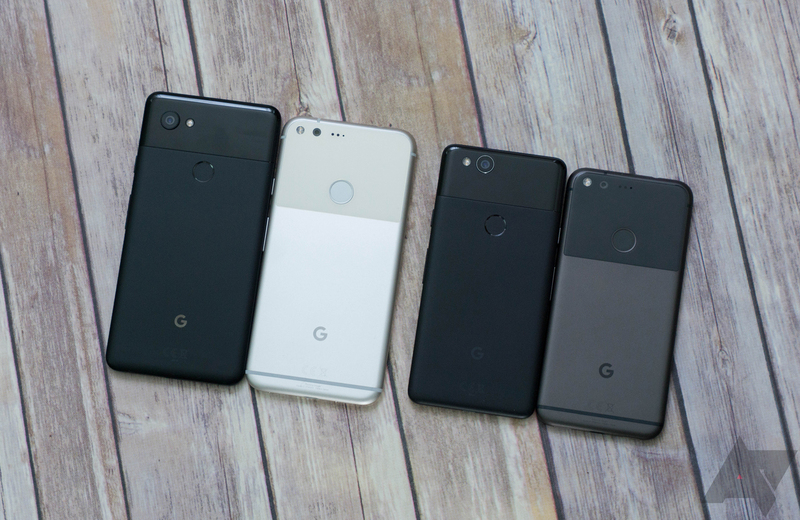 The month is getting underway, and that means it's time for Google to issue its monthly raft of Pixel and Nexus updates. The updates will filter down to phones in the next day or so, but the system images and OTA files for most devices are available now if you want to sideload. There's not a ton new here, but as this is a November patch level, you should have protection from the KRACK vulnerability. A few days ago, we reported on Android's September security bulletin, in which Google seemed to suggest the latest security patches for most Pixel and Nexus devices came bundled with the late-August upgrade to Android 8.0 Oreo. That turns out not to be the case, however, as our devices have all been stuck on the August 5th security patch level. There's still a fair amount of confusion swirling, but some users seem to be receiving September OTAs with up-to-date security patches at last. 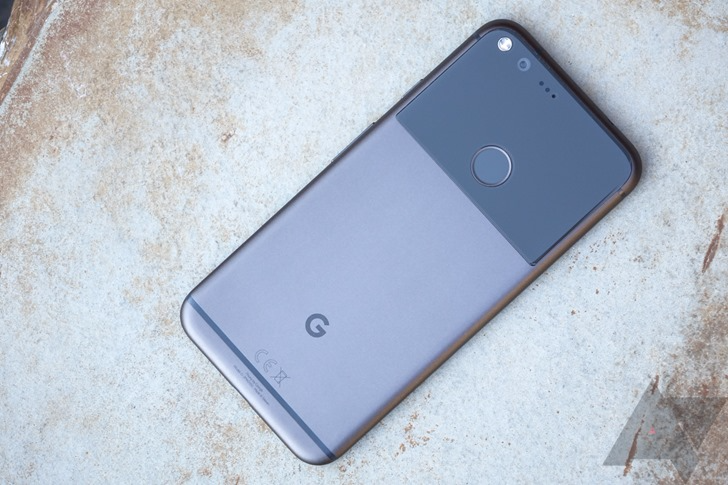 It's that time again—Google is rolling out monthly security patches for Nexus and Pixel devices, but you don't have to wait. The system images and OTA files are now live and ready for your sideloading pleasure. In addition, the monthly security bulletin is available for your perusal if you want to know what's being patched this time around. One of the bummers about buying electronic devices is that you know there will be a point after which the manufacturer will no longer keep the software updated. We usually hope for at least two years when talking about smartphones, though some OEMs barely even reach half that time. One of the benefits to buying Google's phones nowadays is that the company now maintains a page where you can see the end-of-life for those devices. Google started including the security patch version in the About Phone menu last year in the wake of the Stagefright vulnerability. This is simply a date that tells you which patch level a device runs. 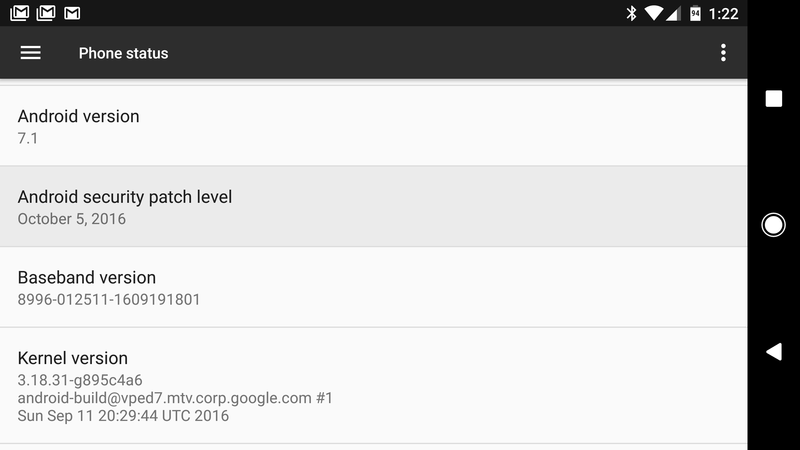 As of Android 7.1, that line in the settings is more than just a date. It's also a link to the security bulletins. We're closing in on the announcement for new hardware that will carry the next version of Android, surely to be labeled 7.1. If you're looking for something to do in the meantime, we've put together some changelogs for the latest security updates, released just yesterday. The changelogs are a compilation of the messages left with each code commit to the Android Open Source Project (AOSP). So far, five new builds have been posted, all for Android 7.0 Nougat. But the build numbers don't quite match up correctly with many of the firmware images. This could very possibly be a typo where the letters 'B' and 'R' may have been accidentally transposed.